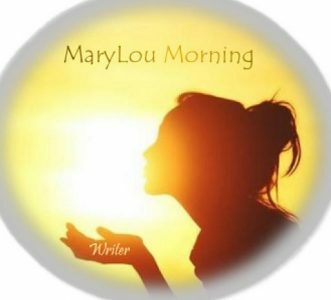 Writer MaryLou Morning – "Words are all I have, to take your heart away." "Words are all I have, to take your heart away." I, like many folks, am not always what I appear to be on the surface; or, hell, even at iceberg depths, you may have to squint a bit to catch where I’m drifting. But even through the costuming and window-dressing of our digital worldscape, I am laid bare where it counts; my soul. It will not – cannot – deceive. Neither me nor you. All of our souls. It’s the one commodity that we can claim as truly our own: a completely unique foundation of who we are on the surface. It is the ultimate storage drive; that shadowy place wherein the real “us’ is anchored. There are, as with most of this corporeal life, two groups that we the people may slip into for a temporary classification; a quick ‘Compare and Contrast’, in this case. At this end of the gene pool, there are these two discernible groups labeled “Actors” and “Writers”. There are those that perceive and proffer a plan. And then there are others who prep and perform something permanent. I used to be an ‘Actor’ – performing those actions that I felt sure others wanted me to undertake. I strove for the applause, mayhap an accolade or two to fatten up my public-perception resume. I stood in Life’s lines and waited for my auditions; they always came and sometimes I ‘got the part.’ And I’ve collected my share of worn out tap shoes, metaphorically speaking. But those performances weren’t memorable enough for any kind of legacy. Being in the limelight and doing those things others directed me to do got me noticed; but not remembered. What the world did remember were the words. The words of Life’s script that I repeated through the wisdom of others – once I learned to listen – the words that resonated with all the occasions wherein I was successful. As an Actor, I was finally successful because of the Writers I became aware of in my personal search for myself. And at that point, I no longer wanted to be an Actor. So, I slipped from my own bonds and did what everyone else said was not possible; as an Actor, that is. I morphed into a Writer.